Boyd's Key West Campground was founded in 1963 by Boyd and Elsie Hamilton. Natives of small prairie towns in Saskatchewan, Canada, the newlyweds packed up their homemade camper in 1948 and headed south. Their primary goal was to escape the harsh Canadian winter, so their destination had to be WARM! Boyd and Elsie kept driving south and eventually hit the end of the road here in Key West, Florida. They fell in love with the island immediately and returned permanently the following Fall. 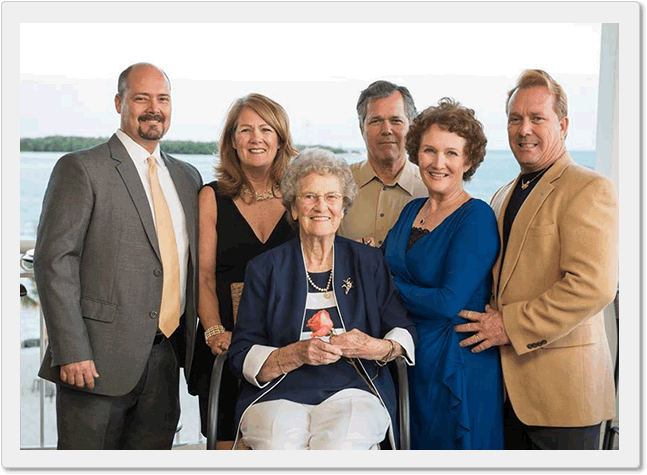 Boyd drove a dump truck and became an electrician while Elsie worked as a substitute teacher as they began to raise their five children: Fern, Andy, Lynn, Henry and Danny. In 1962 they purchased their first piece of land of what would eventually become Boyd's Campground. Just like much of the islands of Key West and Stock Island, the majority of what comprises the campground today was shallow bay bottom that was filled with coral rock and reclaimed from the ocean. The campground opened in 1963 and the busiest night of their first season boasted 17 units. The price of a campsite was $1.50 per night. There are still a few of our regular guests that can trace their first experience at Boyd's back to the late 1960s and early 1970s. During their summer trips back and forth to Canada, it was not uncommon for Boyd and Elsie to stop in for quick visits of our many seasonal "snowbirds." Our winter guests have also been known to have summer reunions at their homes up north with the "family" they have connected with down here at Boyd's. Over the years, the campground has benefitted from good economies and endured the downturns. Key West had its share of newsworthy events including the Cuban missile crisis, an AIDS epidemic and the Marielle boat lift. Fantasy Fest was promoted as a way to bring tourism and the blockade of US1 in 1982 that inspired creation of the Conch Republic. In addition to our summer improvements, we have often spent great efforts either preparing for or cleaning up after the numerous hurricanes over the years. A few of note were Georges (1998), Wilma (2005), and Irma (2017). The dozens of hurricanes that were near misses also kept us anxious. Boyd's Campground has always been a truly family affair. Boyd, Elsie and their children lived at the campground from the start and the entire family worked hard making the campground a success. Bob Jones married Lynn and eventually took over the daily management from Boyd. Wayne Roberson married Fern and they were instrumental in the early years improving the park. The goal from the beginning was to constantly improve the campground to offer our guests the best possible camping experience. 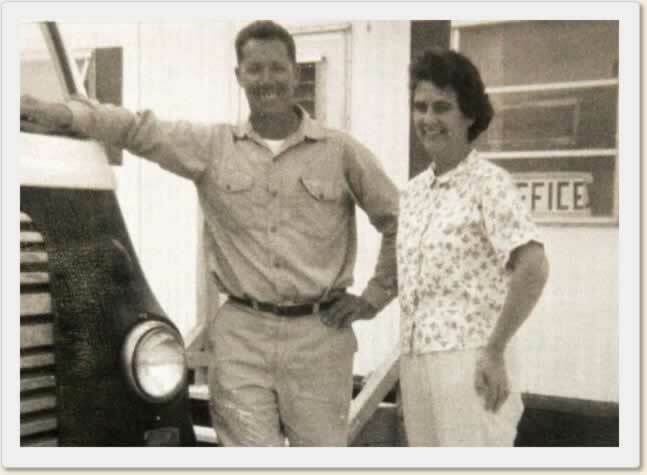 Boyd and Elsie lived at the campground until the 1990s and both continued to be actively involved in the business until Boyd passed away in January 2002. Elsie, however, at 93 years young is still a frequent visitor to the campground and still takes part in many of our winter activities. Today, the family tradition continues 55 years later with three generations of the Hamilton family involved in the daily operations of the campground. Another family tradition that has now been carried on to the fourth generation is a shared wedding anniversary of June 25th. Initially begun by Boyd's parents, Henry and Mary (Minnie) Hamilton on June 25th, 1919, they were married 63 years. Boyd and Elsie married in 1947, for 54 years. Fern and Wayne Roberson married in 1970. Lynn and Robert Jones married in 1977. Henry and Jane Hamilton married in 1990. Daniel and Mary Hamilton married in 1992. And Shaun and Sophie Hamilton married June 25th, 2018. Our family has a deep and abiding appreciation of Boyd and Elsie's legacy and we love sharing our piece of paradise with our guests. Our commitment to "Southernmost Hospitality" has never been stronger and our goal is for every guest to enjoy the tropical vacation of a lifetime!